I went on a Shopping Adventure (TM) today, and I found this. I’m pretty sure that’s a Lambo (bruh), but is it the Lambo that Bburago thinks it is? And then there’s this. Seems like the error isn’t a one-off, but the idea that they created at least 2 tags for this car and failed to notice something was up boggles the mind. 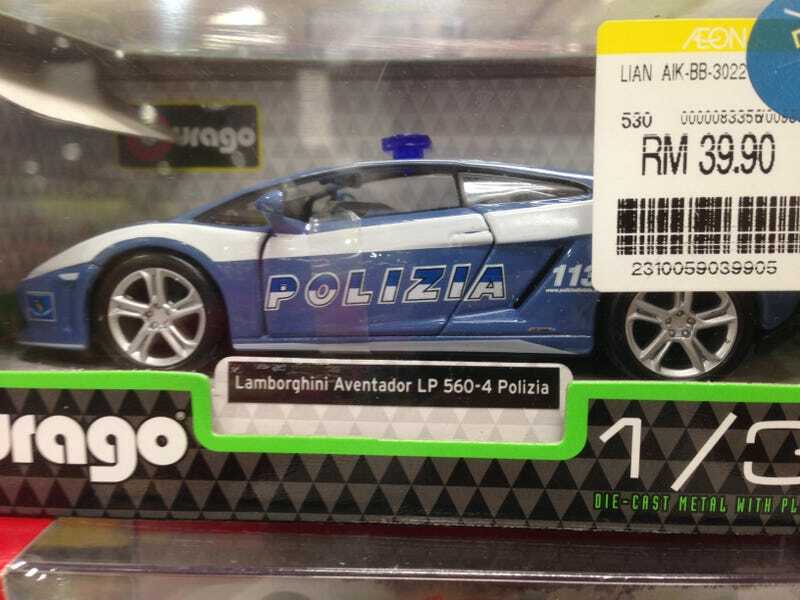 Yep, that’s a Lambo alright.